Improving the condition of in-ground cement swimming pools take more than just a coat of paint. 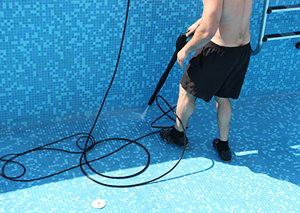 We have unique experience rejuvenating concrete pools, and know the technique and products required to restore older swimming pools in a way that will last for many summers. We will scrape and pressure clean your cement swimming pool and apply a paint product specifically for pools to make it look like new.